Many things in life go unnoticed just like how much plaid you probably have in your closet and the amount of them that your house is dressed in. The existence of this pattern has gone completely under the radar that it is actually worth looking into several facts about this highly consumable and equally fashionable fabric pattern. What does plaid look like? How do you spell plaid? For the definition, let’s look into the roots of the word first before we actually define it. According to my research, the word plaid has Scottish – Gaelic roots. Initially, the word was spelled as plaideand its first definitions were the nouns to “blanket, mantle” yet the actual origin remains unknown. Linguists also thought that maybe the word came to be as a short version of the word peallaid, which meant “sheepskin” during the 1510s. The second definition was more of an assumption because before, all of the sheep blanket or mantle were made from fabric that heavily clad in plaid pattern. In Scotland, a plaid is the tartan cloth that is thrown over the shoulder as part of the kilt attire as an accessory, or it can also be a plain blanket such as anyone would use on a bed. One of the things I really love about it is just how rich this fabric’s history is. Aside from its vivid past, people of different nations have associated many symbolism to this decorative and multi-functional fabric. As I’ve said, this fabric pattern and the Scots have a very colorful history together. For a long time, the Scots used this fabric to stand as a representation for their family or clans. As such, you will be able to find thousands of Scottish tartan plaids in the Scottish Tartan Registry. These plaids represented family, togetherness, and unity of clans. For a time, however, the Scots banned wearing plaid kilts on 1 August 1746 when the Dress Act was enforced. 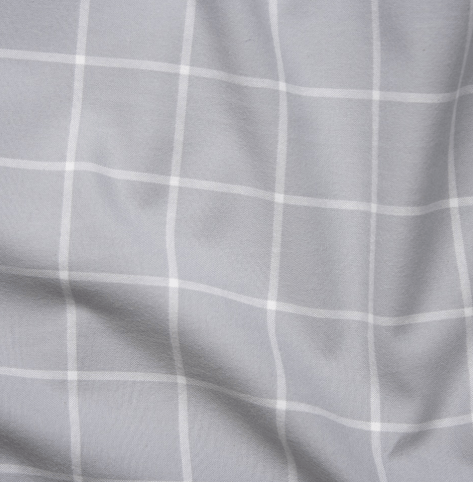 It seems a little peculiar to have a fabric banned, but if we go deeper the very thing it represented, which is unity, was the same reason why plaid was banned. Cue: The Jacobite Uprisings. The Jacobite Uprisings caused the Dress Act of 1746 to be put in force. In that act signed into enforcement by the Parliament of Great Britain. The Parliament of Great Britain decided that a great way of controlling the uprisings was to control what unified the clans, which was what plaid symbolized, unity. In the said act, anyone who was caught wearing the fabric in any way possible shall be caught and punished. However, the people weren’t stopped by any law. The rebellion continued thereby making the said fabric, the one we know today as plaid, as a mark of not just a Scottish man, but also of a rebel. Don’t worry, though! The Dress Act of 1746 isn’t enforced anymore. You can now freely wear plaid any way you want as the King and Parliament of Britain had repealed the said act in 1782. Rejoice! To correctly describe how this fabric looks like, I want you to think of two lines intersecting each other. Now, I want you to repeat it, but think of different weights for the lines, make some of the lines you are imagining to be thick, others to be really thin. That’s exactly how plaid looks like. 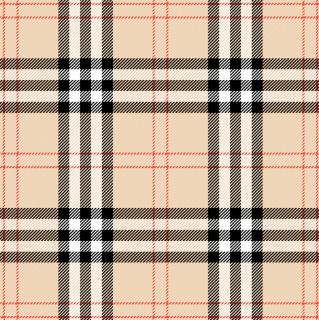 However, plaid doesn’t only exist in a tartan pattern (Burberry plaid is a great example of tartan). There are different types of plaid patterns that we all can get ourselves familiarized with such as checkered, gingham, Madras, buffalo plaid, among others. If you wish to get to know each and get more of the differentiating factors for each one, you can go to our article on The Different Types Of Plaid Pattern Names. The above are great examples that plaid can come even in monochromatic colors or colors belonging to almost the same family. If you’re looking for a very bright and colorful version, you should look into getting Madras plaid. This print is very warm, welcoming, and almost summer-y. It’s no wonder most summer clothing’s are in this style. Now that we’ve shown you examples of different tartan plaids earlier, we can define tartan as a pattern that consists of multiple horizontal and vertical lines of various colors that intersect each other or forms a cross. The first tartans came from woven wool, which is still the same make up of most of these fabrics but these days there’s a variety of materials from which it is made from. If you show tartan to anyone, they will probably immediately say that fabric is from the United Kingdom, Scotland if they’re very specific. You can’t blame them, it’s actually the origin of this ultra-versatile fabric! The misconceptions surrounding what a plaid is, to the more specific kind of it, which is tartan, can be confusing to many people. In the United States, the plaid can be anything that has tartan or buffalo or gingham or checks, for that matter. However, in Scotland, as we learned earlier, the plaid is very specifically the kind of fabric that is part of the kilt or it can have a more usage around the house such as a blanket. Most people would call buffalo plaid as simple as checkered. They may be right in calling it so, because a buffalo check is indeed a kind of plaid that also belongs to the checkered kind just like the gingham. If you google search the term though, it’s the very distinct red and black huge and heavy lines crisscrossing each other. 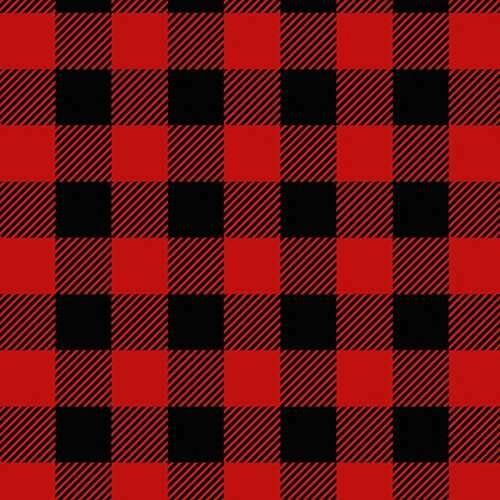 If you live in the United States, you might say that the buffalo plaid is the kind of plaid that a lumberjack would wear. Indeed, so! It’s not wrong, though! The buffalo plaid is warm and comfortable enough for people working in places where there is a cooler climate. For anyone who’s looking for buffalo plaid, you can get the classic buffalo check from Woolrich. According to their company history, the designer of the buffalo plaid check owned a herd of buffalo’s hence the name. It’s quite easy to spell plaid, just think of the word, play, and change the /y/ to /i/ and then add a /d/. Spelling this short, cute word may be easy, but pronouncing it may be a completely different case. However Americanized way of pronouncing the word sounds very close to how one would pronounce the word, lad. Just add the /p/ sound before it, and you have pronounced the word plaid, correctly in the American English way. For the Scottish way of pronouncing the word, you should think of the word played. When you’re in the UK or Scotland, think of how the word is spelled and that’s how you’ll be correctly pronouncing it. Plaid already feels so good to wear, but moreso, if we knew more about what the symbolism of plaid is down to how it is correctly spelled and pronounced. Go ahead, make use of the versatile fabric for your everyday wear or for your homes. If you’re interested in getting to know more about plaid, you can check out the 25 Facts About Plaid That You Didn’t Know Before. Enjoy reading and show your love for plaid by sharing this article with your friends!